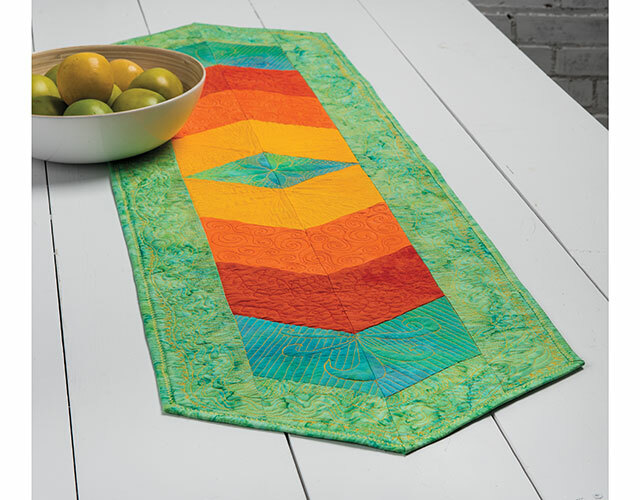 Have you admired free-motion fills on quilts and wondered if you might be able to achieve the same results? The answer is a resounding yes! In this all-new video class, quilting expert Marci Baker shares with you all of her techniques to ensure your success. Join quilt expert Marci Baker to learn, step-by-step, all of the techniques needed to become a free-motion fills quilting master. Your confidence will grow as she takes you through a confidence-building exercise where you will draw a design with pen and paper, then draw with pen and paper at the machine, and finally translate what you've learned to actually quilt the design. Identify the pros and cons of different fabrics for your project. Know which threads and battings can change the final look of your project. Set up your machine and work space for successful fills-work. Use Marci's unique Crawl, Walk, Jog and Run technique to get started. Learn the rules and how to break them to make your work unique to you. Quilt all of the fill designs that are used in the table runner project including Sunrise, Swirls, Petal Points, Vine & Berries, Classic Lines, Lazy River and Grasses. Class includes complete, step-by-step instructions for the exclusive-to-this-class Table Runner as well as the 7 unique free-motion fill designs.